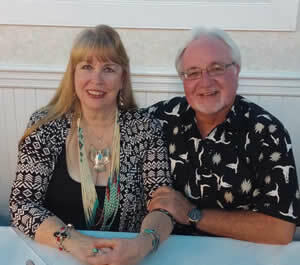 Julie Ann & Bob combine their love of history with their own personal, professional,& family experiences to bring 'HISTORY MEETS HOLLYWOOD' to the public. Through vintage movies & TV shows, historic power point presentations of memories & bygone days, to interviews with the STARS, you'll take an entertaining & enriching walk into the past. There will be an audience Q& A to take place after each presentation. 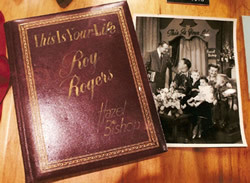 When Herbert Yates combined the defunct poverty row studios he acquired during the depression to form REPUBLIC PICTURES, he also acquired the contracts of their stars. 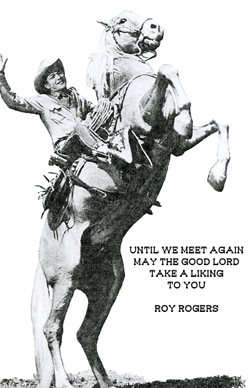 Among them John Wayne, Gene Autry, and Roy Rogers. When the studio celebrated its 75th Anniversary they contacted both Leonard Maltin and Julie Ann Ream to moderate panels. Knowing Julie's grandfather Cactus Mack & his cousin Glenn Strange made the first western movie Republic produced, and their cousin Rex Allen made the last, they figured it was a good choice and let her chose who she wanted on her panel. She decided on a second generation panel to interview the children of that stars that are no longer with us. 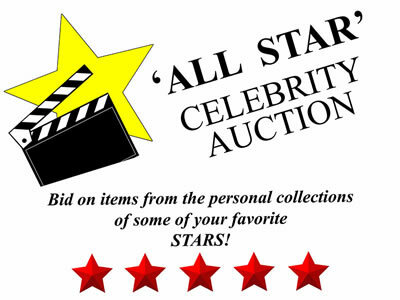 You will see interviews with the children and in some cases grandchildren of John Wayne, Judy Canova, Chuck Connors, Linda Stirling, Roy Rogers, & more. Notorious character actor & 'Heavy' Glenn Strange played the villain in many Western films and TV shows, but none more convincingly as that of his portrayal of Butch Cavendish, the Lone Ranger's nemesis in the series of the same name. Shot in 1949 at the famous Iverson Movie Ranch, in Chatsworth, CA. this DVD shares the beginnings of the famous series along with the building of the characters relationships and follies... all set in the grandeur of the famous Movie Ranch. 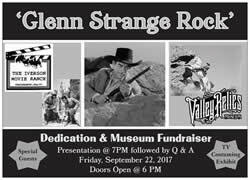 It will be followed with a LIVE presentation of the dedication of the 'Glenn Strange Rock', where he perched to ambush the Texas Rangers! Host Ralph Edwards takes you on an intimate walk through the life of America's Favorite Cowboy. 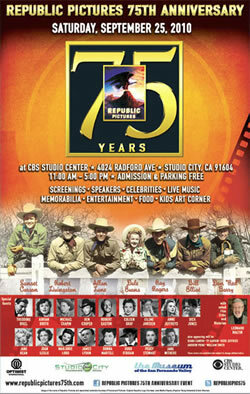 This will be followed by a Q & A that will share fun facts about the life and career of Roy Rogers & Dale Evans. In about 1/2 mile, turn right onto Roy Rogers Rd. Spending much of his youth listening to the likes of Hank Williams, Detroit-native Zachariah was born to play hillbilly music. From the time he could yodel, he has spent most of his life dedicated to crafting a replica of the sound of 1940's and 1950's honky-tonk. Through the tosses and turns of different influences, he has been able to adopt other various genres to his sound including (but not limited to) Americana, Folk, Bluegrass and Punk Rock. Zachariah is a truly multi-talented artist. 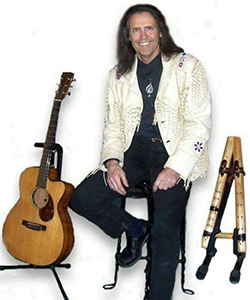 In 1996 he was named International Independent Recording Artist of the Year, in 2008 he won the Governor’s Aard as the #1 Artist in his home state of Ohio and in 2009 was honored by The Kentucky State Senate for his musical contributions to Appalachia. He is an Ohio Arts Council and Midwest Arts Council “Ohio Artist On Tour ". In 2000 he received a lifetime achievement award from Airplay International in Nashville for his decades of international airplay. His song ‘SEIGE AT LUCASVILLE’, about the 1993 Ohio prison riot was filmed by CBS TV's 48 Hours in 1996 and his song OUR HOMETOWN is featured in the PBS Documentary ‘BEYOND THESE WALLS’. 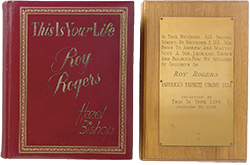 Jon is the husband of Dodie Rogers-Patterson, which of course, makes him the son-in-law of Roy Rogers an d Dale Evans. 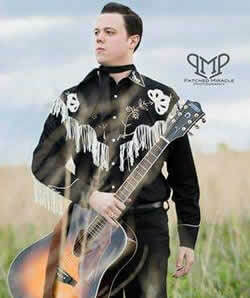 But over the past few years, Jon has become part of our Roy Rogers Festival family as well! You'll probably find him helping out with the entertainment in our hospitality room most evenings, hosting some of the events throughout the festival, greeting and getting to know the fans of Roy and Dale, and doing whatever he can to support Dodie, the Rogers legacy, and the festival. He may even occasionally pull out their Trigger and Gabby puppets to entertain the kids. John is also of special interest to the guests of our festival because of his 'day job.' For more than 25 years, Jon has worked as an engineer at NASA's Marshall Space Flight Center (MSFC). In laymen's terms, he's a "rocket scientist." Jon is currently supporting the development of NASA's new launch vehicle, the Space Launch System (SLS). This will be used to carry America's crews and large payloads to deep space exploration destinations, including Mars someday. He is currently leading his team in the definition of the capabilities necessary for the on-board computers to operate the vehicle systems, as well as those required to detect and respond to failures to either maintain critical functions, or to recommend and support an abort of the crew in the event of a significant failure requires that they are able to return safely back to earth. Over his career, Jon has had the opportunity to support several of NASA's fascinating programs. Some of these include the Chandra X-Ray Observatory, the Tethered Satellite System (TSS), the Ares I Crew Launch Vehicle, several experiments flown on the Space Shuttle, International Space Station (ISS), and the Space Shuttle Main Engine (SSME). It was while he was acting as the lead Software Engineer for the X-33 Reusable Launch Vehicle program in Palmdale, California in 1999 that he met Dodie. In addition to his fascinating work, Jon still enjoys playing soccer and softball competitively. 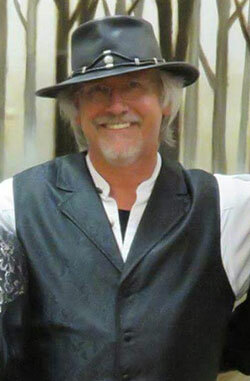 He is also one the lead singers in the band, Natchez Trace, and eight-member group that performs county, classic, southern rock, and even some blue grass music throughout the Tennessee Valley area. We have the opportunity to enjoy a taste of his passion for singing and music when he performs for us each year at the festival.